All tours are private & start / finish to your hotel. Lorenzo was born in Paris. He spent his childhood in Italy and returned to Paris in his early adolescence. 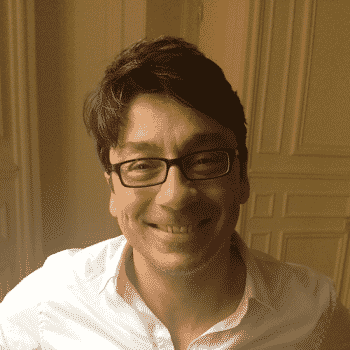 He then studied French history and literature in the Sorbonne University and theater in private schools, where he discovered a passion for storytelling. He worked as a playwright and then as a scriptwriter but he eventually got into creative problems, finding himself more attracted by true stories than fiction, considering that although imperfect, true life is more surprising than fiction, reality more exciting than fantasy. So he went back to historical studies and became a certified tour guide, dedicating himself to telling ancient and recent history of Paris using the techniques of storytelling. He is a keen history teller, joining together culture, history and art, he will take you for a trip back in time at the court of Versailles. Lorenzo, what is your favorite place in the gardens of Versailles? Versailles is a codified built environment. If you stand in the center of the hall of mirrors and look out to the garden, you will see a straight line, the Royal Path, that leads to a first fountain, the Latona fountain. In Ancient Mythology, Latona is one of Jupiter’s mistresses, with whom she’s had two children : Apollo and Diana. The legend says that Latona was forced to go into exile because of Jupiter’s wife, the jealous Juno. One day, while Latona was wandering the earth with her children, she attempted to drink water from a pond in Lycia (present-day Turkey). But local peasants refused to allow her to do so by stirring the mud at the bottom of the pond. In her fury Latona laid a curse on them, and turned the nasty peasants into frogs. What are the tours that Lorenzo runs ? if you are keen to know more about the extravagant life and personality of France’s last Queen, this is the tour for you. 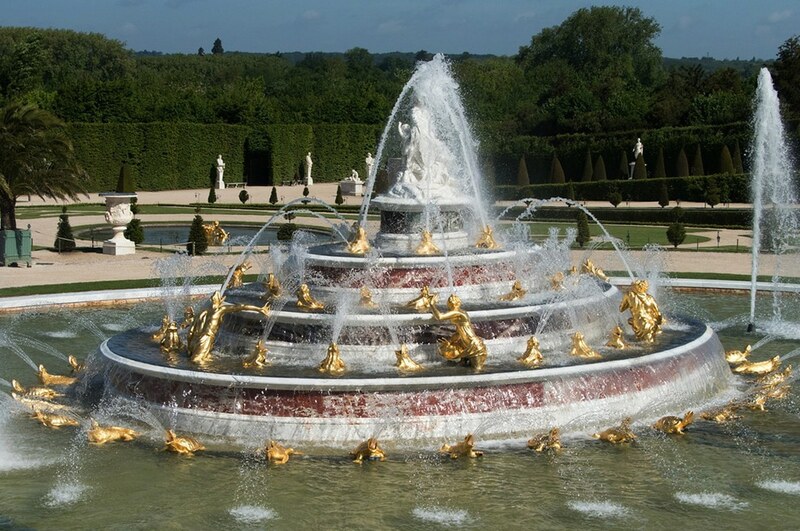 A perfect taster to Versailles if you are short of time or if you are a first time visitor. Go behind the scenes with your personal guide with exclusive access to areas closed to the general public. A true hidden gem! A magical place that inspired the construction of the Palace of Versailles. Come with us to see for yourself how the King of France found himself a rival. The largest, still inhabited private estate in France, Vaux le Vicomte will not disappoint. Residence of the French King before becoming a Museum, who wouldn’t have heard of the most famous art Museum in the world? But with this tour, you will discover a more hidden history of this grandiose landmark. Plus, view and interpret our selection of the best artefacts found at the Museum. Captivating art, impressive history, stunning gardens! Enjoy this and even more with this special tour, visiting two of the most alluring places in France. Learn about Monet & the Impressionist art movement in Giverny then immerse in the life of the French Monarchs in Versailles. These majestic gardens were the scene of many of King Louis XIV’s splendid balls and shows. Learn more about the significance of the gardens & of how magic came to life! After closing, Versailles palace opens its doors to allow a privileged few to visit in confidence the ultimate residence of the french Kings. 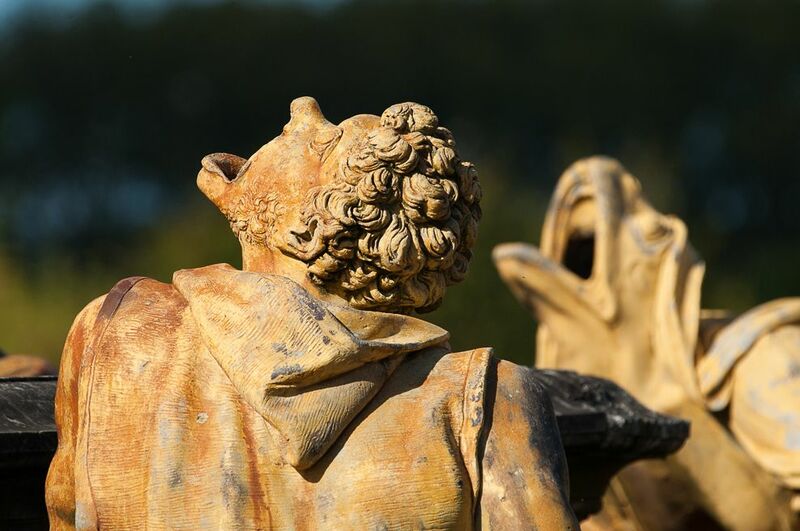 Our best-selling tour gives you the very best of Versailles in a day, including the Palace, gardens and the Queen’s Hamlet.